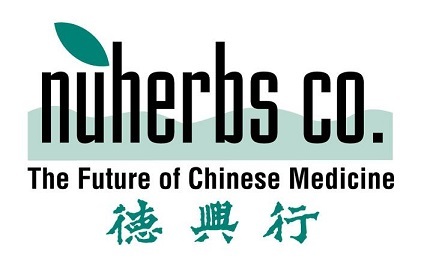 Nuherbs Co. commits itself to the highest standards of quality and safety and to promoting the unparalleled benefits of Chinese Medicine through education and giving to the community. Our aim is to advance the practice and acceptance of Chinese Medicine in the United States by offering high quality Chinese herbs and herbal formulas.. This herb has an aromatic smell, and its leaves resemble ai ye. This herb is the resin of Styrax tonkinensis. Bitter, sweet, and slightly cooling, Akebiae Fructus (ba yue zha) promotes the flow of Liver qi, harmonizes the Stomach, and disperses clumping; it also mildly facilitates urination. Raising, acrid-dispersing, warm and drying; especially indicated for pathogenic wind-phlegm in the face and head. * - Bensky: Chinese Herbal Medicine Materia Medica, 3rd ed. Resolves toxicity, expels pus, invigorate the blood, reduces abscesses* - Bensky: Chinese Herbal Medicine Materia Medica, 3rd ed. Penetrates to the yin to restore movement to the yang, transforms cold-phlegm, dissipates clumps - Bensky: Chinese Herbal Medicine Materia Medica, 3rd ed. Cools the blood, stops bleeding, clears heat in the Lungs and Stomach, promotes urination* - Bensky: Chinese Herbal Medicine Materia Medica, 3rd ed. Directs the Lung qi downward; suitable for any type of cough; especially good for phlegm in the throat* - Bensky: Chinese Herbal Medicine Materia Medica, 3rd ed. Cools the blood and reduces heat from deficiency without injuring the yin fluids or blood, vents pathogens, facilitates urination. * - Bensky: Chinese Herbal Medicine Materia Medica, 3rd ed. Expels damp-heat accumulated in the blood vessels of the muscles and flesh, leads dam-heat out through the urine, stops itching, clears sores, relieves painful obstruction* - Bensky: Chinese Herbal Medicine Materia Medica, 3rd ed. Aromatic, warm, releases the exterior, open the orifices (especially the nose), dries dampness; frequently used for wind-cold frontal headaches. * - Bensky: Chinese Herbal Medicine Materia Medica, 3rd ed. Tonifies the Spleen qi, dries dampness, quiets the fetus. * - Bensky: Chinese Herbal Medicine Materia Medica, 3rd ed. Warms the middle burner, releases constrained cold in the Intestines. * - Bensky: Chinese Herbal Medcine Material Medica, 3rd ed. Facilitates the dispersal of upper burner wind-heat, cools and clears the eyes and head, soothes the throat, facilitates the flow of Liver qi and expels turbid filth. * - Bensky: Chinese Herbal Medicine Materia Medica, 3rd ed. Dries dampness, induces sweating, strengthens the Spleen and Stomach, treats atrophy disorders from damp-heat in the lower burner, helps the vision. * - Bensky: Chinese Herbal Medicine Materia Medica, 3rd ed. Treats constraint from cold-dampness in the middle burner, check malarial fever. * - Bensky: Chinese Herbal Medicine Materia Medica, 3rd ed. Chu Shi Zi, 1 lb. Invigorates the blood, unblocks the menses, expels wind, drains dampness. * - Bensky: Chinese Herbal Medicine Materia Medica, 3rd ed. Expels wind-dampness, relaxes the sinews, transforms phlegm, stops cough* - Bensky: Chinese Herbal Medicine Materia Medica, 3rd ed. Purges clumped heat in the Intestines, cools the blood, removes blood stasis; in its charred from, can stop bleeding* - Bensky: Chinese Herbal Medicine Materia Medica, 3rd ed. Cools the blood, stops bleeding, reduces swelling* - Bensky: Chinese Herbal Medicine Materia Medica, 3rd ed. Strongly cools heat toxin or pathogenic heat in both the qi and blood levels. * - Bensky: Chinese Herbal Medicine Materia Medica, 3rd ed. Relies on its heaviness to suppress and direct downward rebellious qi, while cooing Liver fire. * - Bensky: Chinese Herbal Medicine Materia Medica, 3rd ed. Leaches out dampness and facilitates urination; also treats irritability associated with heat. * - Bensky: Chinese Herbal Medicine Materia Medica, 3rd ed. This items consists of Dang Gui Root Head without the lateral roots. It is considered most tonifying and less invigorating to be blood. This item consists of the lateral rootlets of Dang Gui. This herb is considered less tonifying and more invigorating to the blood. Eliminates heat from both excess and deficiency in the blood; used for steaming bone disorder with sweating, and to cool the Lungs. * - Bensky: Chinese Herbal Medicine Materia Medica, 3rd ed. Warms the middle, directs Stomach qi downward, treats hiccough, fortifies the Kidney yang. * - Bensky: Chinese Herbal Medicine Materia Medica, 3rd ed. Facilitates urination and clears heat* - Bensky: Chinese Herbal Medicine Materia Medica, 3rd ed. Drains downward and guides out stagnant heat in the Intestines* - Besnky: Chinese Herbal Medicine Materia Medica, 3rd ed.